Scandinavia has produced some of the biggest names in EDM for at least the last decade, with artists like Super8 & Tab, Daniel Kandi, Bjorn Akesson, Swedish House Mafia and most recently Avicii, heading the top of the charts. 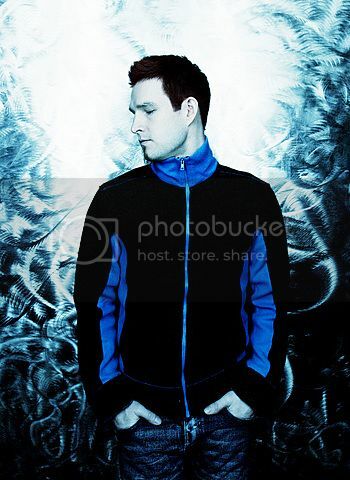 One artist who has arguably been on more compilations the world over than the before named artists combined, is platinum selling DJ/Producer DARUDE! Q1. 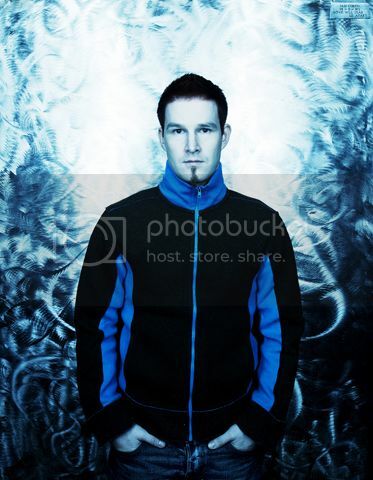 Thanx to a recent explosion of Dance Music in the world of pop music, A whole new generation of “Dance” lovers might not know exactly who the man behind “Darude” is. Tell us a bit more about Ville Virtanen and how you got your start in EDM. A1: - I've always been a music lover and highly interested in music, and I started making my own music in 1996 after some friends of mine showed me what they were doing with just a computer and some freeware programs. I realized that I could make my own music and decided to have a go at that. I bought my first PC and started fooling around with it and losing too much sleep... ;) I never thought about 'making it big', I was just making music because I liked it so much. I tortured my friends with my early production and sent some demos to magazines and radio stations in Finland in '97 and '98 and also to some record companies and got some good feedback, but nothing more, they weren’t really looking for instrumental electronic dance music at that point, but mainly Finnish dance pop and such. I made music on my own and also had two separate projects with two of my friends. On a Wednesday night in August '99 after his DJ set I gave my later-to-be-producer, Jaakko "JS16" Salovaara, a demo CD (my third one for him actually) which included my original demo of 'Sandstorm' (and some other tracks of mine) which got Jaakko's attention. All I wanted was his professional opinion of the tracks and some tips about better sounds and things like that. What I got was a phone call a week later. We met the same night in the same club in Turku, Finland, and agreed on working together. We spent two or three days in his studio and the next Tuesday ‘Sandstorm’ (plus his JS16 remix) was ready as you hear it now on the single. It took a few weeks to get the track mastered and to get the singles from the plant and to get it on the Finnish Dance Chart. After three weeks it was number one and stayed there for 16 weeks. The things snowballed from there and I started touring in Finland, then Scandinavia, Germany, Holland, France, Spain, UK, US, Australia, all over the place. Q2. While you’ve released some extremely memorable singles, you’ve also released 3 great Albums, and remixed some of EDM’s greatest tracks, do you have a different approach to singles , albums or remixes… or is it all the same to you? A2: - I think a track (future single or not, that’s to be decided usually later after there’s several tracks to choose from) is the thing that I concentrate on first and most. Making an album (which sadly these days seems to be a disappearing thing, especially in the EDM world) is a lot bigger undertaking and, at least to me, is as such too big a thing to try and create on one go. Obviously cool start-to-finish full-on concept albums are possible, too, but how I think of an album is that any track made in a certain period of time one after another can be put together to form an album and when you’ve decided which tracks are going to be on the album, then you can plan the track order based on feel, bpm, maybe key and then revisit any tracks you think need updating or other adjustments to fit better the flow of the album. Remixes are, or can be, one level easier as someone already did the creation work and you “only” need to do your interpretation of it. The difficulty lies in deciding how faithful to the original you’re going to have your remix be for it to be respectful enough and how different for it to be cool and worthy enough. I like doing remixes, because you can both re-use some stuff you’ve created earlier when making your own original music and you’ll most likely come up with some new stuff that you can use later when creating your own new music. Recycling your own signature sounds (to a point, of course!) helps your fans recognize your new music and helps you stand out from the rest of the producers. My style has changed slowly over the years, but I think there’s pretty much always something carried over from an earlier project to the next one, and I think that bridging might help not alienating old fans when trying out new ideas and being influenced by “the sound of today”. Q3.You released a compilation at the end of 2011, that shares a name with your bi-weekly podcast called “The Salmiakki Sessions”… from what I gather “Salmiakki” is a type of salty treat in Finland. How did you decide to give the podcast and your compilation this peculiar title? 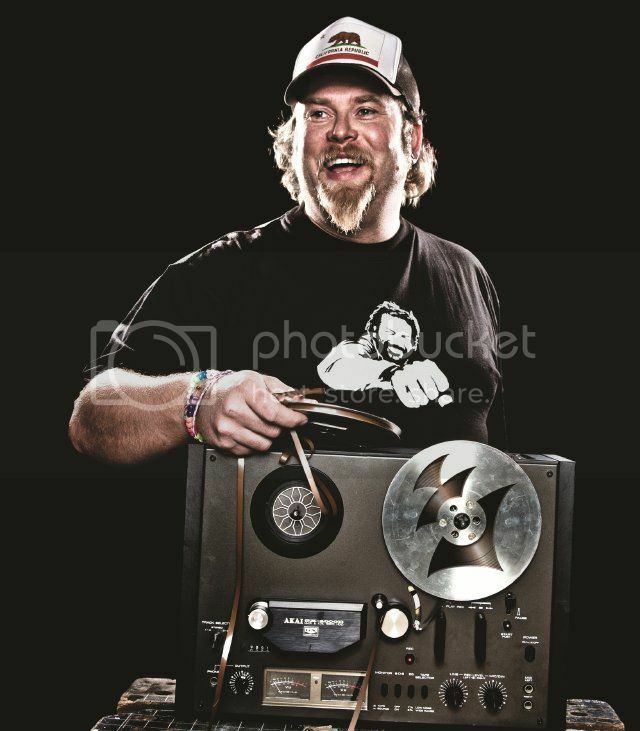 A3: - I love salmiakki and I often have some with me in the studio, so at some point back in the day when I was mixing my first radio mixes I was simultaneously chewing some salty’n’sweet treats and thought that what could be a better name for my show than the thing that fueled those mixing sessions! It’s perhaps not the easiest of words or concepts to people outside of Scandinavia, but at least it’s a pretty unique name and definitely describes my mixes well, too. Q4. I imagine you’ve probably had to answer questions about “Sandstorm” more than any other question, you’ve ever heard… But who can expect anything else? It’s an absolute classic. What are the chances of an updated remix ever seeing the light, or are you sick to death of playing it. A4: - It’s very likely that at some point there’ll be official new mixes, but I don’t have a time even pencilled down yet, just waiting for the right moment and some more great mixes landing on my desk… There are numerous awesome mixes that I’ve played along the years, both from the original remix packages and from close producer friends who with my permission or because of my request have done killer mixes, and I’ve played them all over the place and mashed them up with other tracks and samples etc. I get asked to play it at every gig and I usually do, but I think I played the original mix myself last in like 2002 J, but no, I’m not sick of playing it, because that track “made me” and people still seem to go bonkers when I play it! Q5: You co-own a label with Randy Boyer named Enmass records, A label started after the unfortunate passing of Eric Tadla. How did the partnership between you and Randy come about? A5: - Randy and I go back over a decade now, we actually met on my very first US gig in December 2000. We didn’t become close friends immediately then, but reconnected a couple of years later. We started to talk a lot about music and production and business stuff and we realized that our thoughts about a lot of stuff is very similar. While our tastes in music are maybe a little different, there’s still a lot of overlapping in our track selection and production ideas and styles. When I told Randy that I’m going to start my own label, he told me he’d been thinking about the same thing, and we just decided to combine forces. We thought that it’d lighten the workload a little, and that we’d benefit from each others networks and fan bases and of course learn things from each others’ practical experiences. 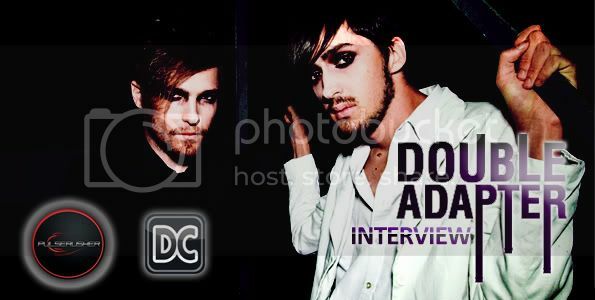 The idea was out there for a while and when we were on the road together in 2008, we got to know each other face to face, you know, not just via email or chats, and felt comfortable with everything and that’s when we really got things rolling. Q6. What are the chances of the Enmass production project making a return with you and Randy? A6: - No chance, I’d say, Enmass was Randy and Eric, and I could never take his place. With EnMass Music, though, we hope to keep the name alive and sincerely hope that Eric would approve what we’re going after with it. Q7: Are you a hardware or software man, when it comes to production… ? A7: - 100% software these days, total recall rocks! My US studio, where I've mostly worked for the last four years, is purely software-based, the only hardware I have are a Novation midi controller, Genelec monitors, MoTU audio interface, a Mac Pro and Røde K2 mic and pre amp. I have to say that Logic Pro is definitely my favourite tool. It has everything; great midi and audio editing, awesome software sampler, synths and effect plug-ins, I can do a track in it from start to finish, even on a laptop. I also like Melodyne and Ableton Live a lot. In my Finnish studio I have a good bit of beloved hardware, like Korg Triton, Korg MS2000, Access Virus C, Roland JP8080, which all are awesome, but which I can do without these days. I’ve sampled some of my most used sounds from the hardware I have and sadly they’re mostly gathering dust these days, but I don’t want to sell them either as they’re part of my history and also from tech point of view I might need them for re-doing some stuff one day. Q8: What has been your best and worst experience within the EDM scene thus far? A8: - Best thing is absolutely the awesome dance music loving people I meet. Nothing is more amazing than to land in some city, shoot to a club full of people and get to play loud music to an appreciative crowd. It’s still mindblowing to me that people actually line up and pay money to come to see me spin, like how crazy is that! I’m very grateful! Worst was for a while the haters and back-stabbers… Until I realized that most of them are just bitter for whatever reason, nothing really to do with me, and too afraid to try something for themselves. Now I laugh at the biggest insults or straight-up lies I sometimes see on forums or Facebook. The shady business side of the scene is a reality that I’ve needed to tackle with legal help a couple of times and sometimes just had to take it to the chin, too. Some people are just shameless out there, and I hate to say it, but it definitely at times momentarily has made me more cynical about people, which by nature I am not. Q9: I love your work with Blake Lewis, and admire both of your skills immensely… is there someone specific you’d love to work with in future? A9: - My standard answer here is: Madonna! She hasn’t called yet, but I’ll be ready! ;) Anyway, Blake and I just touched base the other day and while talked about nothing that specific, looking in my crystal ball I see another Blake Lewis & Darude collaboration in the future, too. 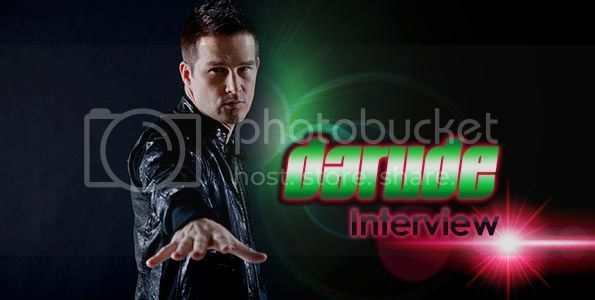 Q10: What can we expect from Darude in the near and distant future? A10: - I’m working on my next release, an original artist album, but I haven’t set any deadlines or release dates as I’ve had a bit of a hard time finding time for studio, because we have some nasty health issues in the family and I’ve had to take care of my loved ones. The album is shaping nicely, though, and I’ve already test played several tracks at my gigs and been really happy with the response so far. I’ve got several collaboration tracks already and there will be a couple more still, and a re-work or two of some big tracks of last decade, which I’m really excited about. Before my own releases, there'll some Darude touch on our label EnMass Music's releases. 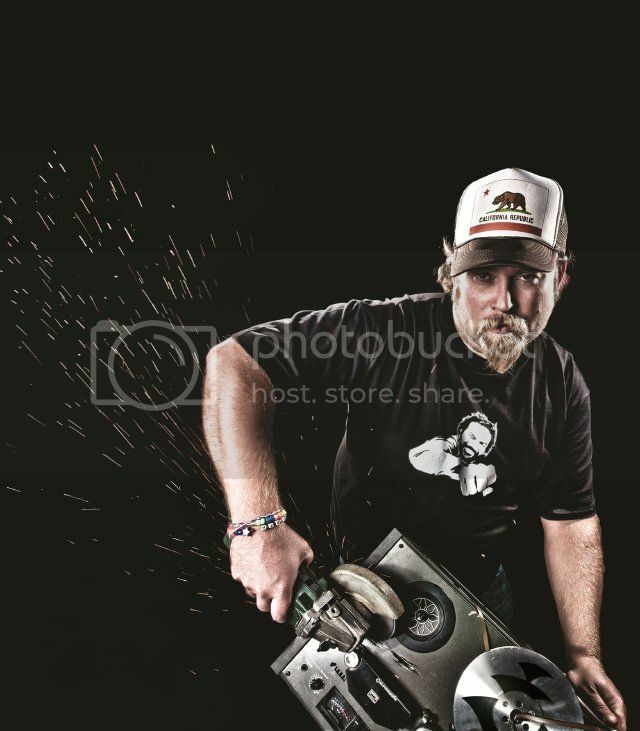 I usually do a remix alone or with one of our EMM artists like Randy Boyer or Weirdness. More info on anything Darude-related can be found on www.darude.com and www.enmassmusic.com and you can get in touch with me and the label team directly on www. 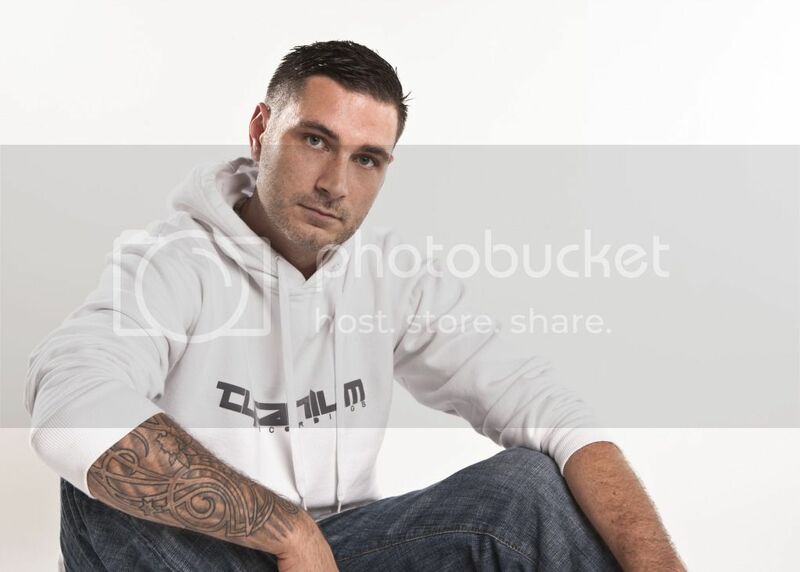 facebook.com/darude and www.facebook.com/enmassmusic as well as hear previews of our music. A man that has been one of EDM’s brightest shining laser lights, within the last decade, staying true to the sound that made Dance floors across the globe fall in love with him, while being brave enough to venture outside of the box as of late, one of my own personal heroes and an incredible inspiration to producers the world over, is the incredible SEAN TYAS. Q1. 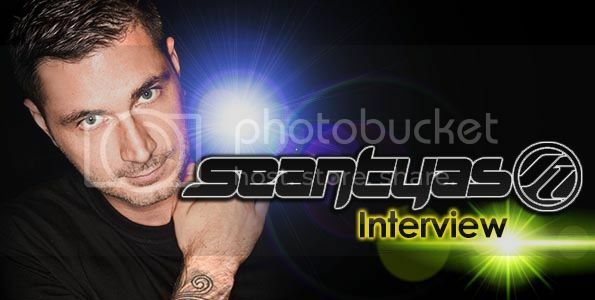 Sean Tyas is a name that has become synonymous with Peak-hour, Main floor EDM, thanks to some of the most infamous productions to ever grace the ears of an incredibly critical yet appreciative EDM world, tell us more about how EDM crossed your path and became such a major part of your life? A1: I guess around 1990, I got a little mixtape off my uncle of various mixes of Apotheosis – O’Fortuna. This was probably the first time I had been exposed to proper club “underground” four to the floor. I was just addicted since then and the rest of course, is history. Q2.I read quite recently that your first experience with production came through Dos Based software called “Impulse Tracker”, now believe it or not… I myself got into production in exactly the same way, having copied a pirated version of “Scream Tracker” from an older friend, and eventually moving on to the hugely similar “Impulse Tracker”, you’re currently quite a famous “LOGIC” supporter, how much would you say your production and writing process has evolved from those early days? A2: Jeez, with impulse tracker you wrote music from the top DOWN, and not left to right like we do now. And when you keyed in values, that was all done in hexadecimal, ha! Ok so programming a snare roll had to be typed as far as volume went, so the first hit was 01, 02, but after 09, u have 0A, then 0B, until 0F. It was weird! Plus everything was based solely on samples in tracker programs back then. No synths. 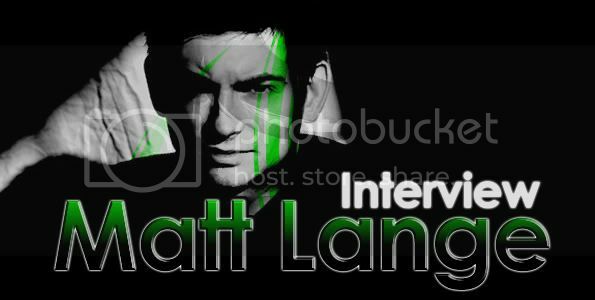 Q3.Being a great follower of your work, and having recently had the immense honour of catching your live set at Club Truth in Johannesburg, South Africa, a few things have become quite apparent… While still being one of Trance’s greatest champions, you can in no way be purely boxed in such a way. Having introduced a fair amount of electro influence in both your sets and latest productions… What are your feelings as far as genres, cliques and pigeon-holing in the industry are concerned? A3: I used to be such a champion of pigeon holing. I used to say, yep trance is all I’ll ever do blaaa blaaaa. Well, I have to step back and say how absolutely ignorant that was and is. I am so happy I started to open my mind. The amount of new sounds I have heard and have learned to make has led me to really enjoy making music every goddamn second again. The cross pollination of genres is healthy. The haters can hate all they want, they just need to get laid. There I said it J During this expansion of my sound range, however, I have met and communicated with some amazing new people and look forward to meeting even more over the course of the future. Q4.I remember a while back walking into a CD store and picking up a copy of DJ Tatana’s “A Tribute To Trance”, only to open the booklet and realize that production on quite a number of tracks had been done by “Sean Tyas”. How did this come about and what else have you secretly done without taking credit for A.K.A behind the scenes? A4: I think my engineering days are done for now, as I’m really just concentrating mostly on original material and exploring what I can do, what I enjoy, and what makes me happy at the end of the day in the studio. I think on discogs most of my engineering work should be listed. It was fun and good experience for a while, but now I want to concentrate on my own stuff. Q5: While EDM and specifically House music has its origins in the USA, there is no doubt that for a very long time Europe was leading the way as far as Electronic music, especially Trance is concerned, aside from exceptions like BT and Christopher Lawrence. But in recent years, a host of US DJ’s, including yourself have come to light, proving to be a force to be reckoned with in the “Trance” world… What would you attribute this to, being from the US and currently living in Europe yourself? Q6. 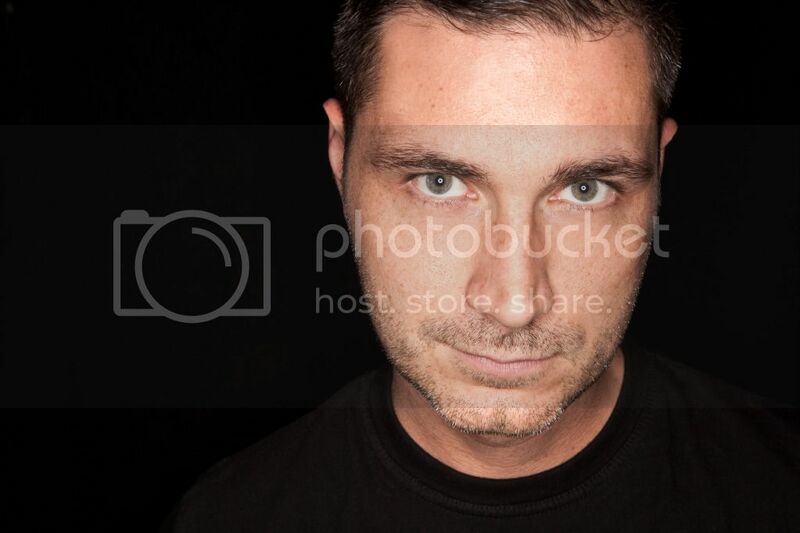 Any Sean Tyas fan, knows that a great deal of inspiration comes from your beautiful wife and daughter, having released tracks specifically dedicated to them… and with good reason. 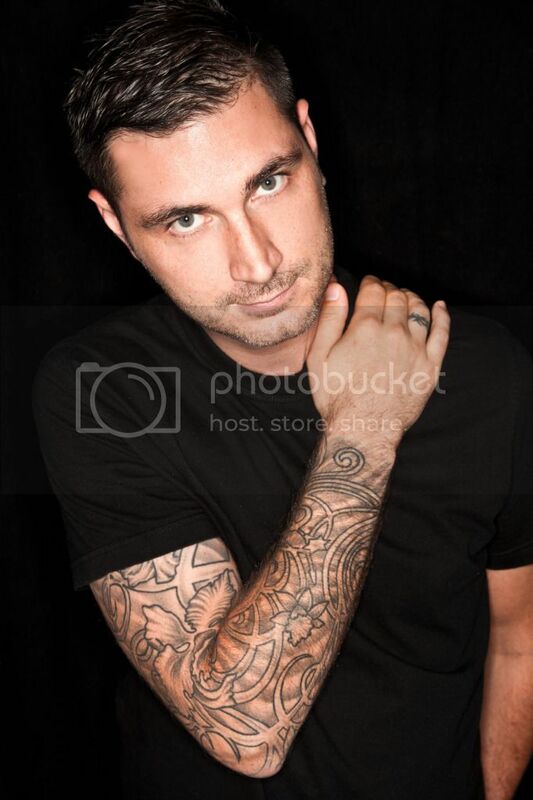 What else inspires Sean Tyas, though? A6: Good new sounds and beautiful melodies, as always. Or crazy set of percussions mayhaps. Yes, I said mayhaps. Q7: There’s no doubt that Producers and DJ’s around the world look up to you… Are there any artists you specifically look up to yourself? Q8: You’ve produced enough singles to fit on quite a few Albums, and collaborated with some of the world’s biggest DJ’s, what are the chances of seeing a Sean Tyas artist album any time soon, and are there any specific artists you would love to work with in future? A8: We’ll see, I think making an album in these days where CDs are BARELY even manufactured anymore. I just don’t see the point to release 12 tracks all on the same day. Not only that, to save up all these tracks from the day 1 of starting the work (usually artists take 12-18 months of work) and release them so much time after he/she finished them. I know most producers move quick with their technique and style and the oldest tracks may not always represent them correctly. Q9: One of your biggest tracks entitled “Solo” samples a very famous Guns & Roses riff… Which leads me to believe that there’s much more to Sean Tyas’ taste than we might imagine… what’s playing on your IPOD/Mp3 Player/Car Radio right now? A9: Solo has that riff re-created not sampled, had to clarify that point ;) And in my car stereo usually whatever my wife wants to put into the CD Changer! ;) As for my iPhone/iPad, no music at all! Just games! 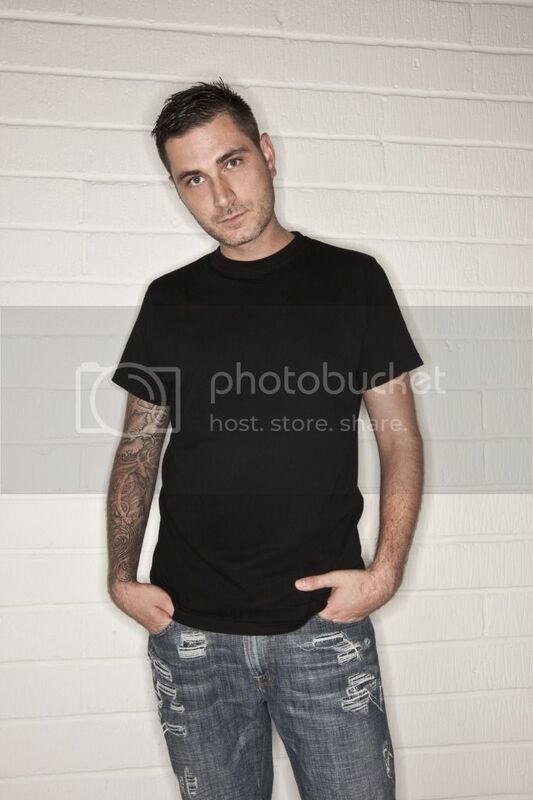 Q10: What can we expect from Sean Tyas in the near and distant future? 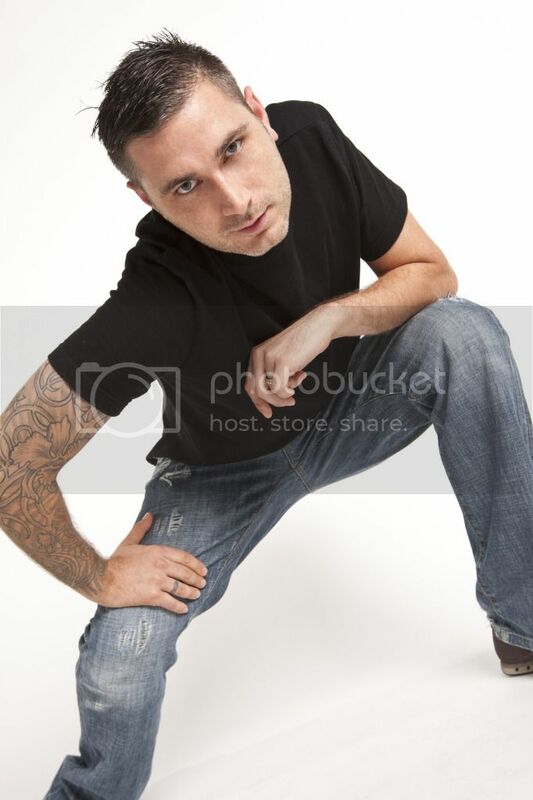 A10: Tytanium relaunches very soon, a lot more singles which im quite excited about covering a lot of ground, including of course, high energy trance music. tell us a bit about how music crossed paths wIth Roger-Pierre Shah? I have always been interested into music, I learned to play keyboard when i was young, even played in a live cover band as keyboarder before i started to work on my own tracks. You’re “Sunlounger” pseudonym is possibly you’re best known work, pioneering the Balearic island sound, fans all over the world have come to love, tell us a bit about the origin of this project, and what makes it stand out as much? 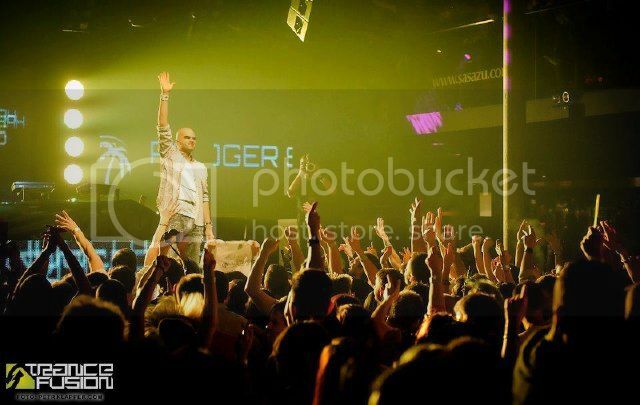 I think sunlounger is my best know alias besides I just tour as Roger Shah, especially th elast 2 years I focused more on releases under my real name. I think that people love sunounger because it's a unique sound, very chill, deep and atmospheric with chillout versions and cool club mixes on one album and we kept the format for all albums. It’s a well known fact that Armin Van Buuren in particular is one of a host of big name DJ’s who really supports your music on a major playing field. Who would you list as you’re 5 favourite DJ’s/producers/artists/acts or bands? Q4.You’ve collaborated and remixed for some of the most recognised artists in the industry, including the likes of Judge Jules, Nadia Ali, Kosheen, York, Armin Van Buuren, Moya Brennan and Signum, is there anyone in particular that you would love to work with in future? I would love to work with Florence and the machine or Kings of Leon but I think this is just a dream and will not come true,but who knows, never say never. but i also have some nice collaborations with other djs coming up for the future. A lot of people might not know, that your brother is fellow DJ/Producer Pedro Del Mar, would you say there is ever any sibling rivalry with regards to who does better in the industry, or is it more about supporting each other to get to the top? We are always supporting each other and pedro is also a part of my team around me, doing management work and my music publishing while we both focus to produce our own music. You’ve got a very specific sound, for example the sliding guitars that so much of you’re well known productions feature, what is your production process? As in… what inspires you, how do you start your songs, and what hardware or software do you prefer? his has been my sound for the past years, but since my openminded album, as the name is saying i produce a wider range of music in different directions and don't want to stick to one genre. the guitar and balearic sound is now exclusive for sunlounger while roger shah is more pumping. Different things can inspire me, from a nice show to nature, meeting people etc. usually i start my songs with the main melody and then go from there. I don't use any hardware anymore besides my mackie analog mixer through which i route the final mix and outboard mastering. As a sequencer I use logic and almost all available plugins as the whole native-instruments complete, to sylenth,nexus, omnisphere etc..
Q7. What’s playing on your ipod/mp3 player/car radio right now? Very different things from florence and the machine, tiesto podcast, movie scores, since i work on a lot of classical music for hollywood right now. 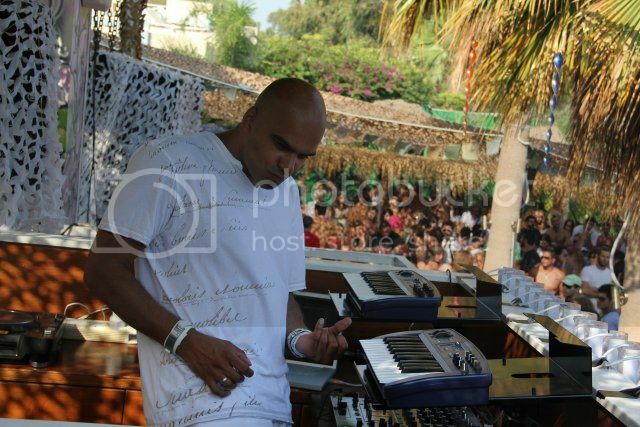 What is there to know about Roger Shah, that we don’t already know? Any hidden talents or hobbies? Musically I work on a lot of different projects besides edm, i do classical music scoring, too. i'm working on my own clothing line with a fashion designer from new york to be launched next year. when it comes to hobbies i play tennis and go bicycle whenever i find some time. Your label “Magic Island recordings” features some of EDM’s freshest up & coming artists, how do you go about choosing what’s right for your label? For me it's all about the music, if people send me some tracks and i love them and armada likes it, too, then they have a chance to get signed, but for th emoment we also focus more on my productions on the label rather than signing too many new tracks. What can your fans in South African expect from your up coming tour in October? Since it's my debut in SA, i think that i will give the people a little bit of everything, playing some of my biggest hits and classics but also my new openminded sound, so people can expect a nice journey through edm and the roger shah world. Above All Presents...Johan de Kock! With his upcoming release on Above All, this is the perfect time for you to meet this South African producer. Armed with a driving passion for top quality electronic music, Johan De Kock is firmly planted in the future, while tightly gripping to the gold the past had to offer, having catched one of the last busses to the "Glowstick Generation". While De Kock is most notably influenced by the Trance/Progressive sound of the late 1990's, drawing inspiration from Artists like Paul Van Dyk, BT,Sasha & Digweed, Ferry Corsten, Breeder, Cass & Slide and Radio Shows by the likes of Derek "The Bandit" Richardson, Pete Tong, Judge Jules & Graham Gold, he believes pigeon holes are for pigeons, boxes for those who feel the need to restrict, and cages for the captured. Q:the amazing Alex M.O.R.P.H. !But behind that iconic guise, is an incredible man born: Alexander Mieling. Tell us more about how Alexander Mieling became ALEX M.O.R.P.H.? Q2:You’re one of a select few DJ’s who has managed to completely re-invent himself over and over, while keeping fans and critics impressed. What is your production process? How do you keep your sound fresh, yet unmistakably M.O.R.P.H.? Over the last years I always tried new stuff besides the typical energetic driving power Trance sound that most people know me of. I tried slowing things down, I tried new sounds and experimenting with a lot of things to keep it fresh. Some things worked, others didn't. So I combined those parts again without throwing those elements that are responsible for the trademark M.O.R.P.H. character over board. It's a constant process and it's a link between the familiar sound character and new elements that are floating around it. When you find the right spot there, you will be able to reach new audiences without losing the die hard fans that supported your sound for years. As long as the quality is good, it will be accepted, and I always put a focus on the quality. Q3: While most Trance DJ’s have quite a uniform look, you’ve gone in a completely different direction, and really made it your own. 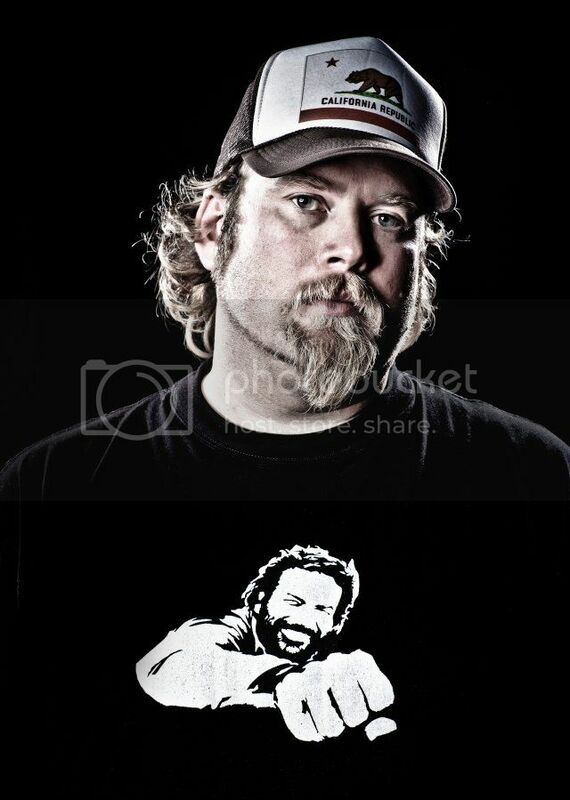 The gotee, longer hair and trucker cap…Is this something you purposefully did, to be different… or quite simply by chance? Well, it just happened. This is me, you know? I never thought about how to differ from other artists or how I should look for the media and all that. I just wear the stuff I like and that's the M.O.R.P.H. style, take it or leave it, haha! It's not just because I want to look different than the other Trance DJs. I feel good as I am and I feel it suits me very well I think. Q4:You’ve collaborated with some amazing producers and singers in the past, anybody you’d love to work with in future? There have always been names that I wished to work with of course. Some already happened, some probably never will. Let's see what the future has to offer! Q5:Who would you consider to be some of your greatest influences musically? The good old Trance heroes Vangelis, Jean Michel Jarre, some Ambient collections and some classical orchestra heroes. Q6:Your “Purple Audio” Album is one of my personal favorite Albums, And luckily for myself and Trance fans all around the world, you're about to release your brand new album very soon, tell us a bit more about the album? My new artist album will be released in about a week, it's called "Prime Mover" and I will go at least 3 steps further than I did with Purple Audio. I'm absolutely happy about the quality and musical development that I reached with "Prime Mover". You should be happy as well. Q7:What is there to know about Alex M.O.R.P.H. that we don’t know already? Any hidden talents or hobbies? Not really, to be honest. I'm into painting, but this should be known already as I talked about that before. I also enjoy movies and stuff everyone else likes as well....except football, haha, I hate it! Q8:What’s playing on your iPod/Mp3 Player or Car Radio at the moment? I always have very different stuff playing in the car, new promos, own unfinished stuff for soundchecking etc etc. so I don't listen to particular albums or artists when I'm on the road. It also depends on my mood, the weather and other factors. Not always the same. Q9:What can we expect from Alex M.O.R.P.H. in the near and distant future? Besides the album which comes out now, I'm working on some other tracks & remixes. Always expect to see some new quality M.O.R.P.H. stuff. We are working out some really great things at the moment that will hit you hard when the time's right, so look out and stay tuned! 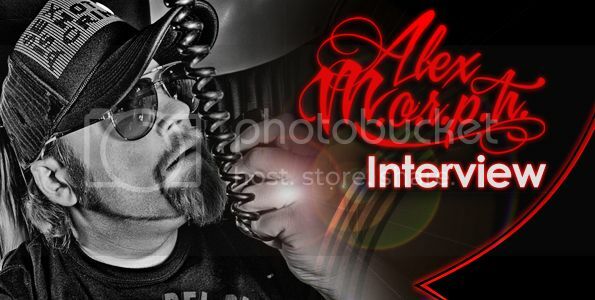 For more info about Alex M.O.R.P.H. and his brand new album entitled "Prime Mover" checkout the following links. Available on other portals on July 13th! The only thing constant in life, is change. Ever moving with the tide of music, though always loyal to his own sound, is Alex M.O.R.P.H.. The charismatic trance DJ and producer, favored for his many quality productions, stellar remixes and energetic drive, proudly presents the long-awaited follow-up to his debut album 'Purple Audio'. Including 17 brand new M.O.R.P.H. originals, this is 'Prime Mover'. 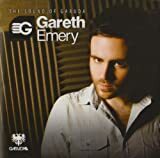 Through successful singles such as 'Walk The Edge', 'An Angel's Love', 'Turn It On', 'Sunset Boulevard' and 'Harvest', collaborations with Paul van Dyk, Rank 1 and Armin van Buuren, and more than 120 remixes -- for names like Faithless, ATB, Ferry Corsten, Markus Schulz and Aly & Fila, Alex M.O.R.P.H. 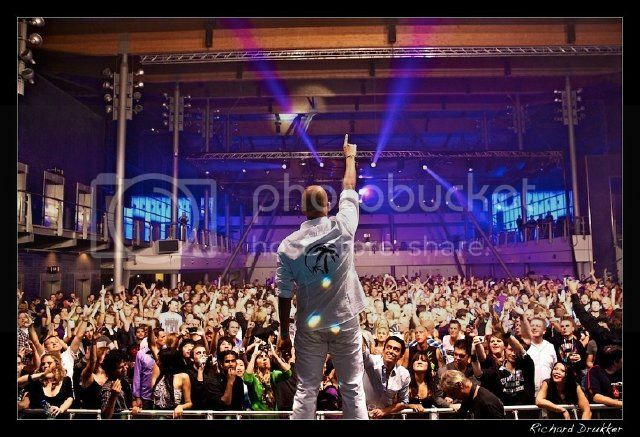 has grown into one of Germany's most prominent names in EDM. 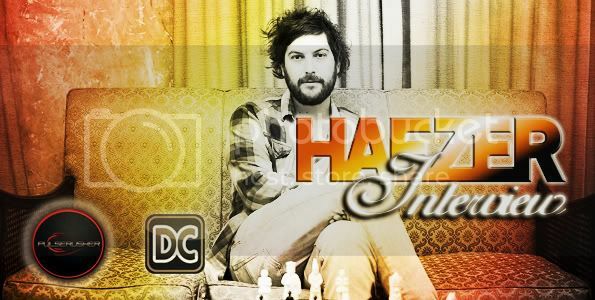 Part of the scene for more than 15 years, his work as the co-founder and co-host of the global radio and event concept HeavensGate has shown a relentless passion and energy for the dance scene and all its colors. Four years after his grand debut with 'Purple Audio', he takes the next move and kicks in with 'Prime Mover'. 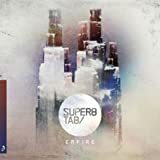 Showing all facades of his palette of sounds, he colors the night and brightens the day with a forward-thinking mix of ambient, warm progressive, uplifting trance and wild, loud tech-trance. He unleashes the M.O.R.P.H., collaborating with the likes of Protoculture, Woody van Eyden, Claudia Cazacu and singers Christian Burns, Sylvia Tosun, Tiff Lacey and many more. 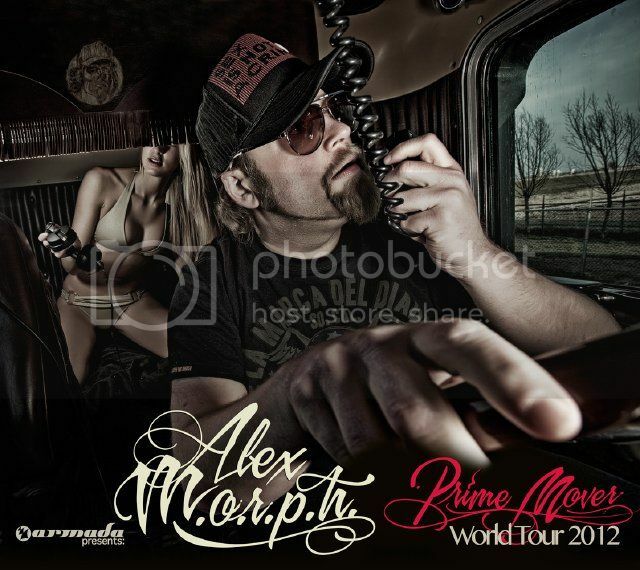 'Prime Mover' is Alex M.O.R.P.H. 's audio translation of taking the next step. And it's a big one. After a mind-blowing performance in front of 40,000 fans at EDC Las Vegas and hitting #1 on Beatport's Trance chart with their last single, the 'Everafter' Club Mix, Tritonal are now set to release 'Azuca,' a collaboration with fellow Statesider Kaeno. Tritonal and Kaneo have created a catchy and upbeat sound that showcases an edgier, more progressive sound yet remains true to the duo's trance roots. Sure to be a bonafide summer hit, Azuca has been rocking festivals and clubs around the world and may just make Tritonal's sixth chart-topper. Check out the 'Azuca' bomb from Tritonal & Kaeno on YouTube! Purchase on Beatport for $2.49USD. 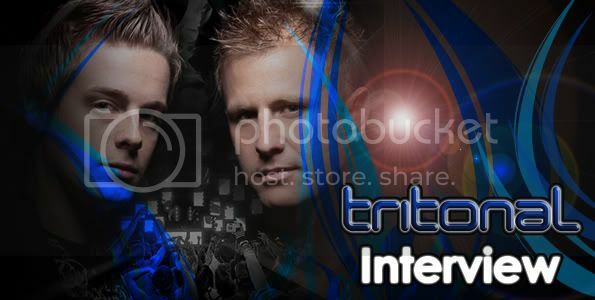 For more information on Tritonal or to request an interview, please contact Erin Osovets at erin@theory-x.com. JUNE 19, 2012--As sunrise dance parties take over beaches and the clubs in Ibiza are back to wall to wall capacity, Andy Moor's track 'In Your Arms' featuring Jessica Sweetman is sure to cement cherished summer memories around the world. First heard on Armin van Buuren's A State of Trance 2012 compilation, 'In Your Arms' is the shiver-inducing lead track from Andy's much-anticipated debut album Zero Point Zero. With Jessica Sweetman's breathy, sultry vocals and Moor's ethereal synth melodies and subtle but pounding bass line, the original mix of 'In Your Arms' has everything a trance fan could ask for. But Aly & Fila, Rafael Frostand Joseph Areas dare to put their own spin on the track and produced three remixes with three very distinct flavors. For good measure, a Dub mix and radio edit are also included as part of the release's package. Purchase 'In Your Arms' on Beatport. Zero Point One will be released on July 6, 2012 on Armada/AVA Recordings. Promotional copies are available for review by contacting Erin Osovets at erin@theory-x.com.